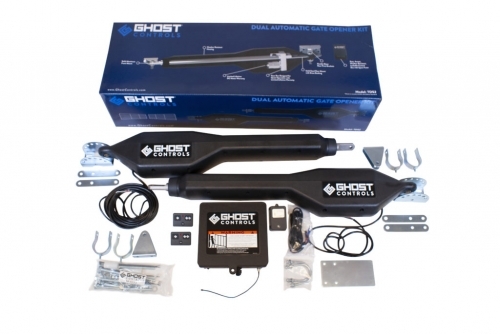 GHOST CONTROLS® TDS2 automatic gate opener systems are the perfect solution for dual agricultural style or tubular style gates used to access your property. These innovative gate opener systems were designed to be the superior solution for home and property owners wishing to automate their tubular or agricultural style gates while being the easiest system to install. REQUIRES 12-VOLT BATTERY, not included in kit.